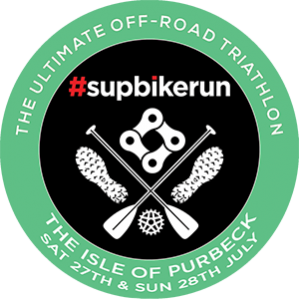 Join us for the ultimate off-road triathlon event that combines SUP (stand up paddle boarding), mountain biking and trail running. Choice of two course lengths and SUP board hire available. Ticket price includes free paddle board tuition on the Saturday (SUP Yoga, SUP Taster or SUP Master). The Isle of Purbeck has a very simple camping set-up with hard-standing area for vans and motorhomes and a basic field (no electric) for tents. All camping is managed on a first come first served basis, we do not reserve pitches and ask all participants to pitch their tents responsibly. Add camping to your ticket at the checkout! 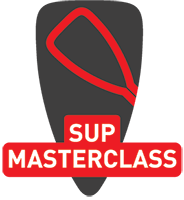 All participants will be awarded one of the following free SUP classes which will take place throughout the day on Saturday 25th May with the main event on Sunday 26th May. 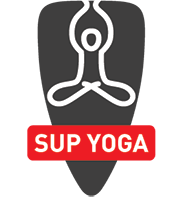 Relax, unwind and experience the exciting and fun side of SUP Yoga. You will be taken out on to the water in small groups to keep the experience and class personal. Never set foot on a SUP board before… have no fear! 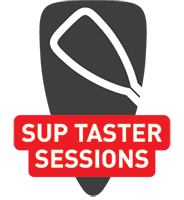 So you know what’s SUP but maybe you want to improve your technique? 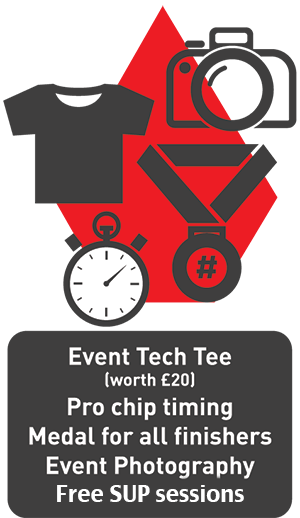 Timed but not a race – all participants will be chip timed and provided with their times (including split / transition times) as they cross the finish line.